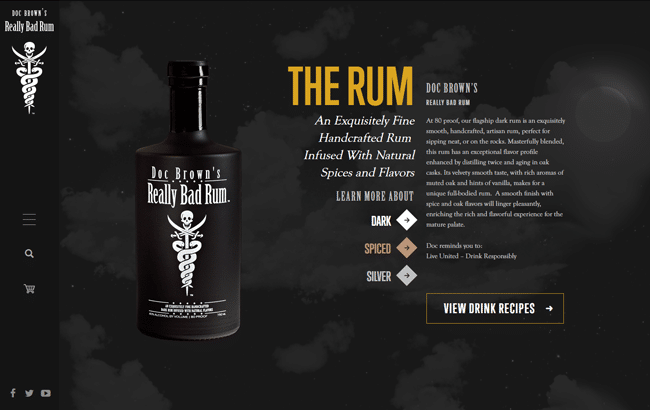 The Legend of Doc Brown's Really Bad Rum lives on. Made from all natural flavors, Really Bad Rum is a new 80 proof Rum that tastes great and works well for a variety of recipes. From rum cakes to barbecue sauce, Doc reminds you to Live United and Drink Responsibly. 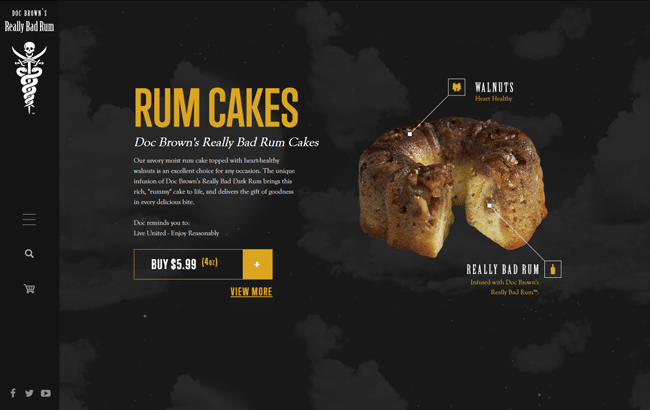 GoingClear Interactive was involved with this custom website design and development project from the very beginning, and even helped with some of Doc's Really Bad Rum marketing. 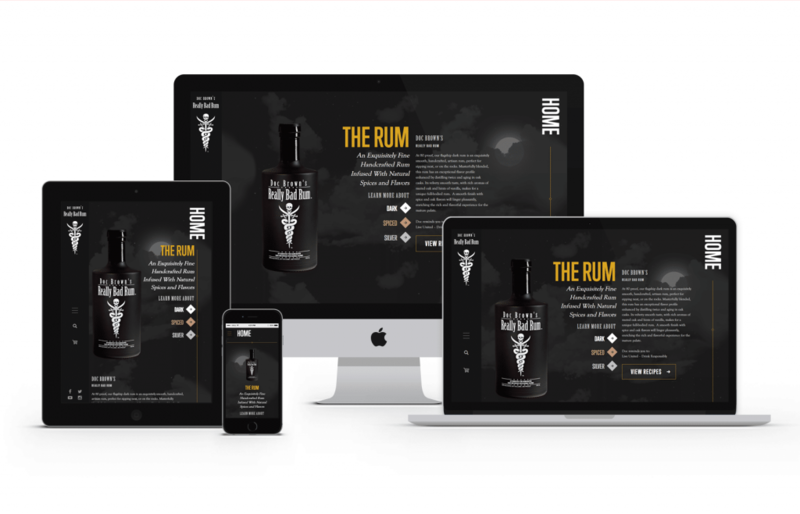 Working within a very tight deadline, GoingClear Interactive designed, developed and launched this website all within a few months, as the client needed a web presence while they finalized their bottle designs and other collateral. 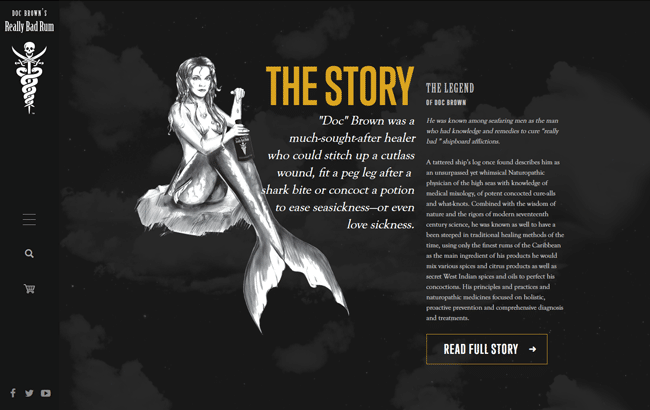 In order to create a web experience that embodies and represents the brand, we initially focused on including an interactive background to give the feeling of being on the sea at night. 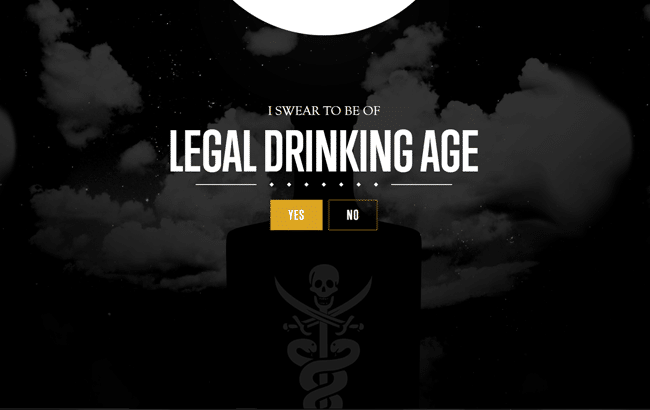 We also created a custom landing page so users must agree to be of legal drinking age before being allowed access. The website was built using Bootstrap, which means it is fully responsive and mobile and tablet friendly. Visitors are guaranteed to have a flawless experience on any device. 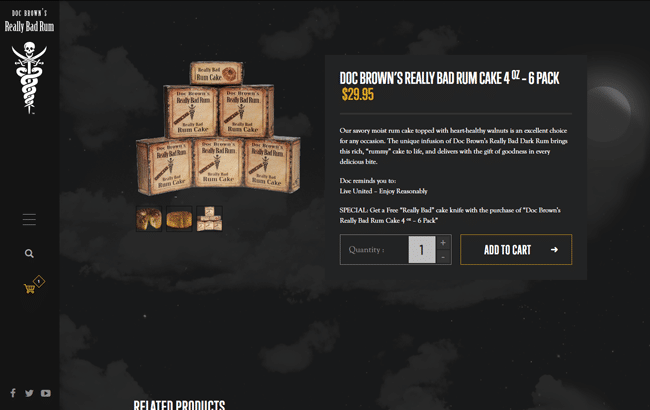 ReallyBadRum.com uses an eCommerce platform for online retail built with custom checkout features and a whole lot more. Feeling really bad? Then check them out!